Sometimes, the people you meet when you’re young stick with you. For Susanne Moniz de Sâ, Junior Troupe Director and Coordinator of Theatre & Music, a connection made when she was at university led to something remarkable. In 2017, This Is That, a CBC Radio One program, wanted to create a video to complement a story about ball-less soccer. 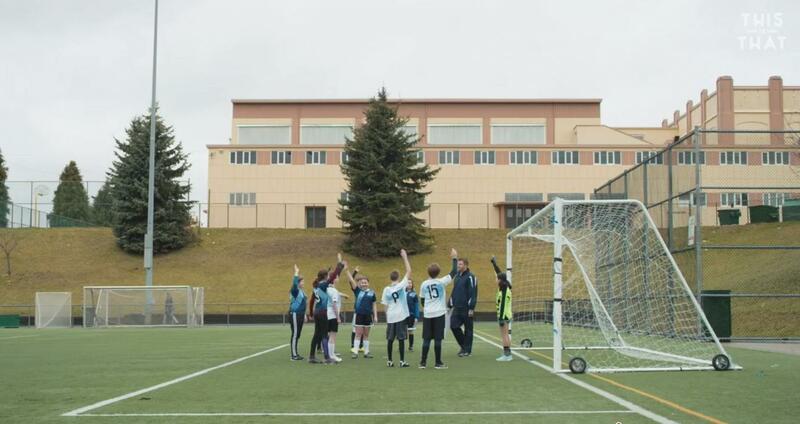 Originally, the production team thought to get a regular kids soccer team to shoot the video, but then they realized what they were asking for. And so Pat Kelly of Kelly & Kelly Creative, and host of This Is That and Road Trip Radio, made a suggestion. He’d gone to school with Susanne, and knew that she worked with young theatre artists at Arts Umbrella. Lauren got in touch, and the wheels were set in motion. 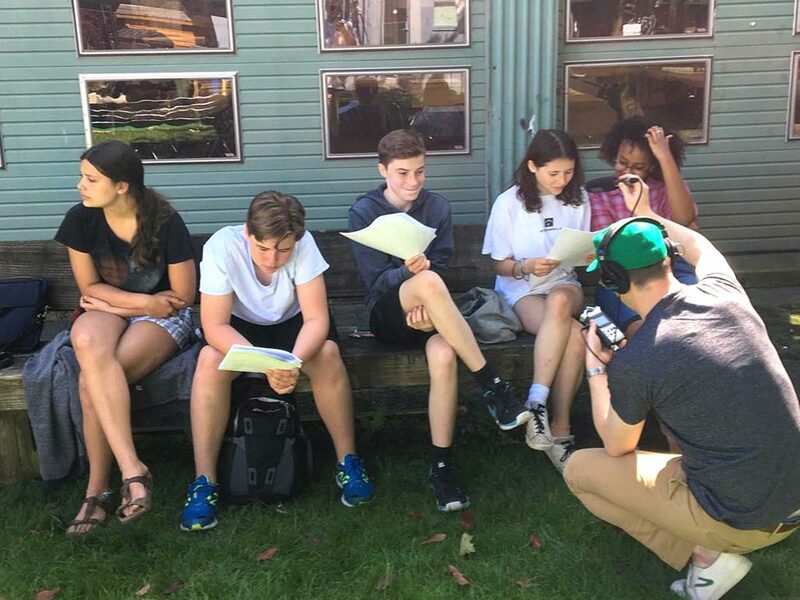 Students from Arts Umbrella’s Acting for the Camera class were asked to take part in the video. 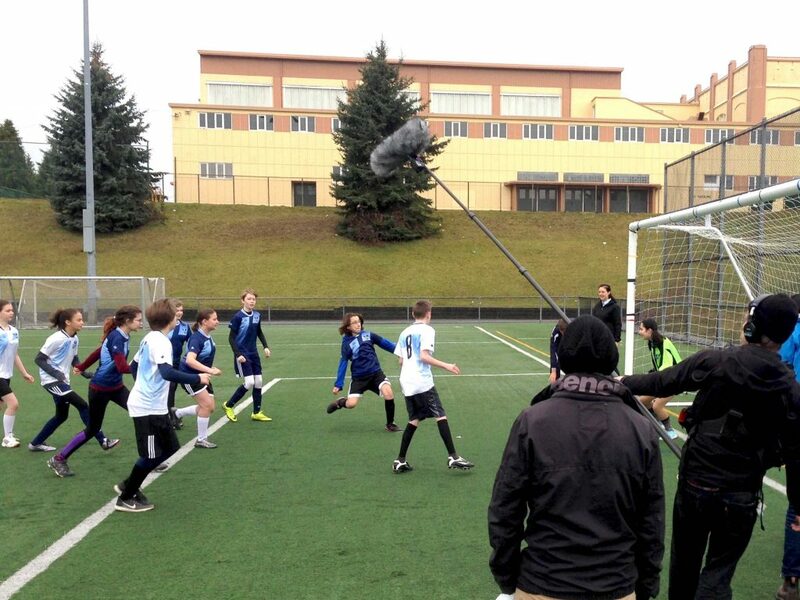 The successful experience on the ball-less soccer video kept Arts Umbrella in the producer’s sights. When they needed some kids’ voices for Kelly & Kelly Creative’s family-focused podcast, Road Trip Radio, Lauren knew exactly where to go. “It was important for us to have kids’ voices in a show that was aimed at kids,” says Lauren. They asked Susanne for some kids voices, and Arts Umbrella’s Junior Theatre Troupe stepped up to the plate. On the topic of pay, Lauren says they would never ask adults to do work and not get paid, so the same should extend to youth actors. “We definitely feel passionately about that,” she says. It’s the most realistic experience: a cold, rainy day, lots of standing around, payment. It’s different from being in a theatre classroom.